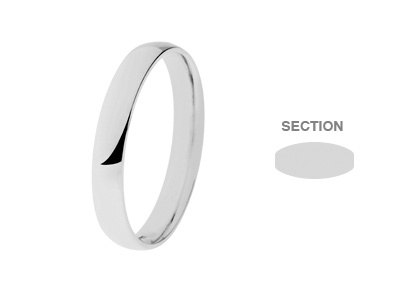 Crafted in 18ct white gold, this 6mm band of gold is beautiful in its simplicity. 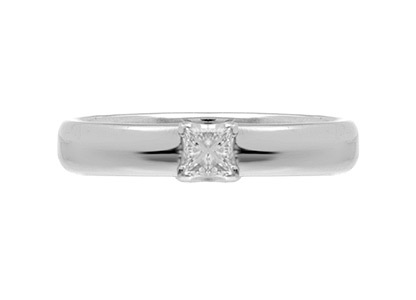 A plain highly polished wedding ring. A gorgeous ring that will signify the love and commitment you make to each other on your wedding day at the start of your new life together. 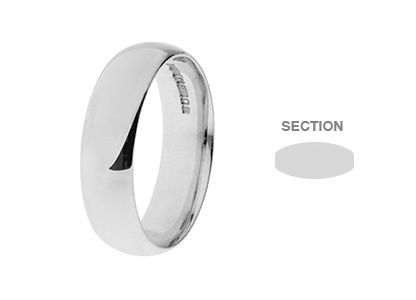 This ring has a highly polished mirror finish, with an average depth of 1.6mm – 1.7mm and 6mm width.